Every year, we at Startup Extreme strive to be at the forefront of the needs and trends in our growing startup ecosystem. We believe the Scaleup Challenge is the next big challenge for our founders. Our speakers have been invited with this years theme in mind to coach & enlighten our attendees from their first hand knowledge & experiences. Read more about why we want to focus on scaleups. Ari holds a B.Sc. in International Relations (first class) from the London School of Economics and Political Science. He is an alumnus of Y Combinator and regularly spends time in San Francisco and New York. He is also a Silicon Valley regular where he has extensive relationships. He serves on the boards of Silverfin, Slite and ClauseMatch. 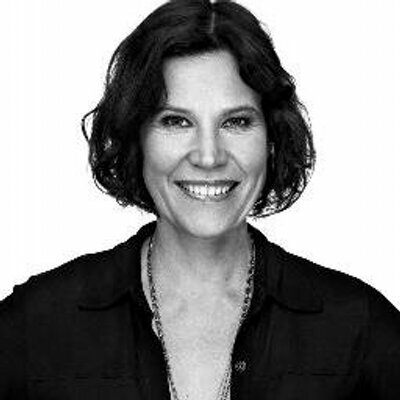 Louise Fritjofsson is a serial entrepreneur, investor, and adventurer from Sweden. Last few years she has been located in San Francisco to disrupt the fitness industry on a global level with her 3rd company Vint. Louise loves adventurers and has climbed some of the highest peaks in the world with the 7 summits as a life-long goal. Marathons and horse polo is her everyday passion hobbies. Recently she stepped down from her position as a CEO of Vint and is a VC in the Danish VC-firm. She will be talking about international expansion in B2C. How her Swedish company made it to the USA. Henrik joined Northzone in 2016. He is based in the Stockholm office, focusing on venture investments across multiple sectors. His main areas of interest are consumer internet, mobile, marketplaces and B2B SaaS. Before joining Northzone, Henrik found his love for data driven product and business development, working in business performance for the mobile games giant King. Prior to King, Henrik was an Associate at McKinsey & Company in Stockholm, focusing mainly on digital, sales, and marketing strategies across sectors such as retail, telecom and finance. Henrik holds an M.Sc. in Industrial Engineering and Management from KTH in Stockholm, Sweden. - Venture Panelist: "VC fundraising tips and advices from top VCs"
Ralph Echemendia, is a world-renowned cyber security expert, known as “The Ethical Hacker”. For the last 25 years, as a computer hacking consultant, Echemendia has taught major corporations and sectors of the Federal Government how to better protect themselves from digital threats as well as security breaches. He consults for a number of Hollywood entities and individuals on how to reduce the impact of security breaches. His last projects were TV-show Mr.Robot and Snowden by Oliver Stone. Echemendia is also a creative and technical consultant to film and television projects. His services have been utilised by corporations such as: US Marine Corps, NASA, Google, Microsoft, Oracle, AMEX, Intel, Boeing, Symantec, and IBM. Although, he has taken part in several behind the scenes projects, Ralph has also been a featured speaker/panelist at events such as Austin’s SXSW, LA Film Festival and Tribeca Film Festival. His jaw dropping “Hacking Hollywood” appearance has been presented at CAA, DEW Expo, Content Protection & Piracy Summit, as well as the Anti-Piracy and Content Protection Summit. Kjartan Slette is the COO & Co-Founder of Unacast. As an experienced negotiator and strategist, Kjartan is skilled at building high-performing teams that execute and excel in complex industries. Kjartan is motivated by launching global products that fundamentally change industries. He was part of the founding team at TIDAL where he was responsible for all contract negotiations with music labels and rights holders. In this capacity, Kjartan secured the necessary licenses for TIDAL to launch globally, while managing a vast amount of partners in an economically complex contractual framework. Previously, Kjartan launched RADR Music News, a VEVO/YouTube competitor that brings fully licensed ad-fuelled music videos to publishers. To foster innovation in the music industry, Kjartan co-founded MashUP, an innovation hub within music and technology. Educated at the Copenhagen Business School, Kjartan was named a Top 100 Young Leader in Norway. Kjartan will participate in the Media Hour & Panel at the Summit in Voss. Hampus Jakobsson is a Venture Partner at Blueyard, angel investor in over 80 companies, podder-blogger-twitterer, and father. He helps ambitious founders who want to fundamentally change the future. He is originally computer science engineer and co-founded of The Astonishing Tribe (acquired by Blackberry in 2010 for $150m). He left Blackberry 2012 to found Brisk.io a sales productivity tool which folded 2016. He has angel invested in 80+ companies. nd in addition to that he co-founded investing firm NordicMakers. Ingibjörg Meyer-Myklestad is the Head of Corporate Affairs at Argentum, one of the leading private equity fund investors in Northern Europe. Ingibjörg has broad experience from investment management and communications with background as an analyst at DNB in Oslo and New York and consultant at Burson-Marsteller. She is also a former journalist. She holds an M.Sc. in Economics and Business from the Norwegian School of Economics (NHH). Ingrid Teigland Akay is a medical doctor and experienced investment professional with background in healthcare, consumer goods and technology. During her investment career, Ingrid has invested into and supported start-up companies globally in different phases of development, from R&D to commercial stage. In 2016 she co-founded Hadean Ventures, a venture fund focusing on life sciences companies in the Nordics. Hadean Capital I held a first close in December 2017, and May 2018 they made their first investment in the pharmaceutical company AttgeNO. Ingrid holds a medical degree from Medizinische Hochschule Hannover, Germany, and an MBA with Finance Concentration from London Business School. Haakon has extensive investing, operational and venture capital experience. He co-founded the London based venture company Dawn Capital in 2007, one of the top performing venture managers in Europe. Dawn investments include Mimecast [MIME: Nasdaq} and IZettle (acquired by PayPal in May 2018). Prior to Dawn, Haakon co-founded Self Trade, an online share dealing platform that was floated in April 2000 and then sold to DAB for €911 million. Today Håkon serves on the boards of Conversocial, LeadDesk and looks after Minute Media and Neo Technologies for Dawn. Haakon Overli studied Mathematics at the University of Oslo and holds a B.A. (Hons) in Economics from University of Durham. In 2016 Magne co-founded SNÖ Ventures, a venture capital firm focused on empowering the next generation of Nordic tech superstars. Prior to SNÖ, Magne was the founder and CEO of the digital marketing agency Qualité, before it was sold to the global media group Dentsu Aegis Network. He then took on the role as CEO of iProspect, and grew the company from 5 to 50 people and took the position as market leader in Norway within digital marketing. Magne has also held leading digital marketing positions at FINN.no and Schibsted. He received the Honorary Award at the 2015 IAB Performance Award for his contribution to the Norwegian digital scene. Katja has longstanding experience building global software businesses. She was part of building Nokia Networks’ commercial offering in the very early days, and has held senior business development positions at both Nokia and Ericsson. As co-founder of Pipebeach, she took part in taking the tech start-up from the idea phase to becoming a profitable business and global leader in the interactive voice services field. Pipebeach was acquired by HP in 2005. Katja holds a M.Sc in Engineering and an MBA from the University of Technology, Helsinki. 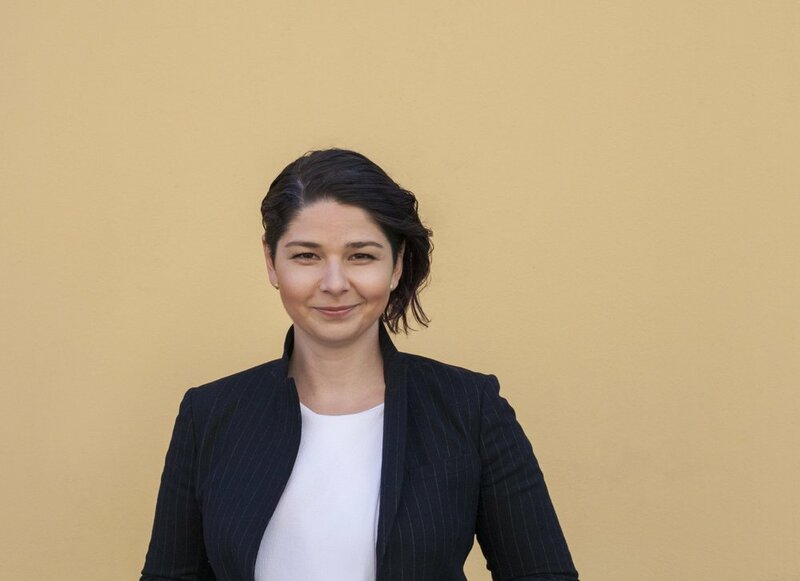 Katja is Co-Founding Partner of MOOR capital, a Nordic technology investment partnership, that invests in early-stage tech companies in the Nordics. - iZettle and Mimecast: two successful scaleup stories from Dawn Capital's portfolio. Sari Stenfors is a serial entrepreneur, scientist and consultant. She is passionate about helping our society to take a leap to the future with disruptive technologies like blockchain, virtual and augmented reality. She holds a PhD in Business Technology with emphasis on AI, algorithms, data governance, distributed ledgers and digital organizational behavior. She is also a social anthropologist, and been doing anthropological studies on cyborgs. She believes one day all of us will be cyborgs, able to connect with machines and even other human brains to allow work become more decentralized. Your personal data will be the most valuable asset in the future, and a potential source of income if you choose to sell your data. As a digital world citizen, Sari divides her time between two different places she calls home - San Francisco and Helsinki. In her pursuit for improving our society, she is also involved in social entrepreneurship in Afghanistan and Somalia, impact investment, and game changing economic and political concepts. Hussein Kanji is an American venture capitalist resident in London. He is a co-founding managing partner of Hoxton Ventures, an early-stage investment firm, investing across Europe. He is regularly cited in major news sources for commentary on the European venture capital ecosystem particularly the lack of venture capital availability in Europe. He is also an occasional instructor of venture capital at General Assembly and participated as an interviewee in a Coursera course on venture capital and startup financing. In 2011 Kanji was cited as the #1 most influential technology investor in Europe by The Telegraph. He will be talking at Startup Extreme about the problems of hiring tech talent in Europe and how to manage your tech talent inside your organisation. ’One of those that made it out’. Monica has a background as a geologist in the oil industry and made the transfer 2 years back to new pastures after 16 years of oil and gas exploration. She now explores and innovates the outdoors industry, capitalizing on long exposure of cutting - edge technology, nature - knowledge and risk management. She flourishes with and around people, but her best days are still when ascending a peak; on skis, bike or climbing. She is a founder of the startup company Think Outside, that together with co-founder Deborah Karlsen and Kjartan Nesse and the team of very talented specialists are building the Dingo technology; a real smart ski that will help skiers know the snow properties and enable better decisions to be safe in the backcountry. Against all odds: How becoming an entrepreneur after a career in the oil industry is a good idea. LJ is an entrepreneurial, driven growth executive with comprehensive, hands-on national and international experience. He’s successfully built and managed several sales organisations from scratch, within a variety of B2b segments, recently as a part of the Norwegian tech company Xeneta. LJ takes pride in constantly developing the sales approach and processes to reflect current market dynamics, available tech, new knowledge etc. Building for scale is always in focus and LJ’s structured approach to sales brings immediate results to companies looking to sell via outbound sales. 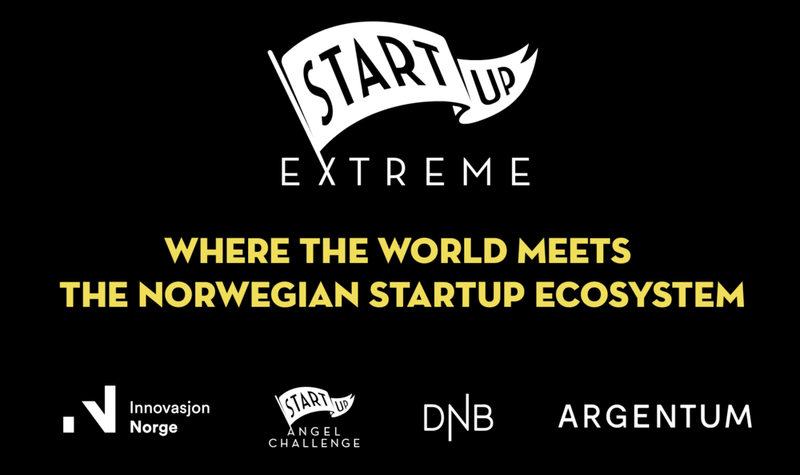 Borte bra, men hjemme best: main challenges Norwegian startups face when scaling abroad. Andrew is on the investment team at Activant Capital, a growth stage venture firm based in New York. 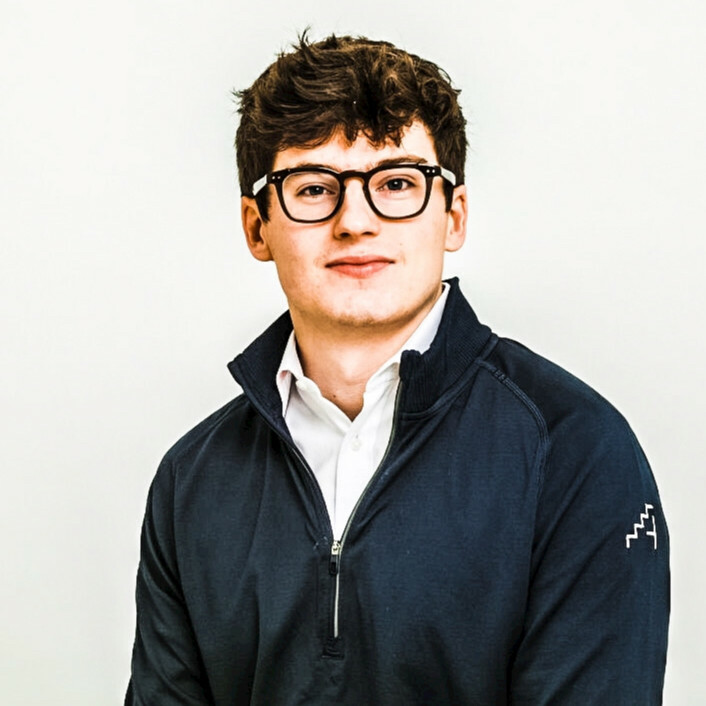 Andrew joined the team 2 years ago, and is currently based in London leading Activant’s expansionary efforts in Europe. Prior to joining Activant, he was the founder and CEO of IvyMinded, an online educational company that designed at taught critical thinking curriculums for international students. Andrew graduated from Harvard University, where he studied economics and psychology, and grew up in Northern Ireland. This is Andrew’s third time in Norway. Justin leads the development, launch, and scaling of a new eCommerce platform for eBay’s German business. Before his current role, Justin managed corporate development activities including mergers and acquisitions, investments, and strategic partnerships for eBay in Europe, Middle East, and Africa as well as in North America. Prior to his work at eBay, Justin was an investment banker at Moelis & Company in New York and Hong Kong. Adrian is the Program Director of Vietnam Innovative Startup Accelerator (VIISA) an accelerator and seed stage fund based in Ho Chi Minh City, Vietnam. VIISA aims to invest US$6M into building 100 global startups from Vietnam. VIISA runs a 4 month acceleration program by investing $30K into each startup. Promising companies will get up to US$200K of follow-on investment. Previously, Adrian was a Lean Startup Coach and Program Manager at Joyful Frog Digital Incubator (JFDI Asia), Southeast Asia’s first accelerator. He helped start JFDI Discover, a 3 week online pre-acceleration course and coached over 1000 startup founders in the region. Adrian also helped kickstart the corporate innovation programs at JFDI, working on open innovation workshops and product development sprints with companies like Bosch, Sivantos, Manulife, Prosiebensat.1 and many more. He was the co-founder of 2 startups, SquareCrumbs, an Edutech mobile learning app and Remember, a photo security app. Originally from Singapore, he moved his young family to their second home in Ho Chi Minh City. 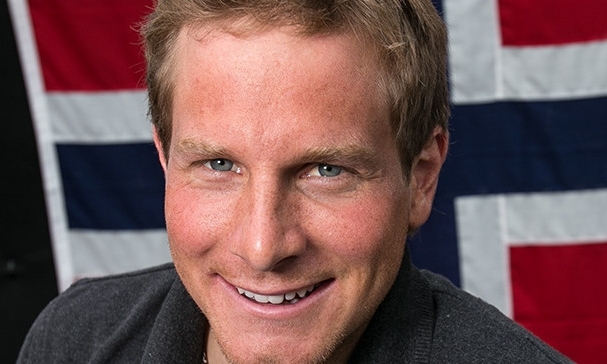 Kristian Ruth is a former Olympic sailor passionate about changing the future. His working in a small boutique consultancy company translating sustainability into business opportunities, because it’s good for business and good for society. He has a degree in materials, energy and nanotechnology, but says himself that’s the 12 years as a professional athlete which has shaped him the most. When travelling the world training and competing, always on the lookout for marginal gains, he realized that his path to the top was based on sharing and making the people around him perform their best. Yngvill Hopen is a concept artist with a background in traditional art and a passion for storytelling. In 2012 she finished her master’s degree of concept art for games and animation and cofounded the games studio Henchman & Goon AS of which she is now CEO and project lead for their latest game, Pode. "Fundraising your scale up: The founder's perspective". Based in Oslo, Andy Chen is CEO of Weorder Hospitality Technologies, an Oslo-based Nordic leader in providing eCommerce middleware for restaurants, POS systems and payment providers. Weorder enables any mobile apps to connect with POS systems to facilitate mobile ordering and payment. Andy is also currently the Nordic venture partner for Vectr Ventures in Hong Kong, specifically focused on investing in Nordic tech companies with ambitions to expand into Asia. Prior to Vectr Ventures and Weorder, he was most recently the CEO of Aspiro Group and founder CEO of TIDAL, a hi-fi mobile streaming technology company listed in NASDAQ Stockholm which was acquired by RocNation/JayZ in 2015. Prior to Aspiro Group, Andy was the CEO of Preview Networks (acquired in 2013 by Rightster), a venture-backed B2B content syndication and advertising platform in Europe, and also the VP of digital for MTV International, responsible for all digital sales, strategy and product. Andy has spent many years with Aegis Media as the Global Director of Digital Strategy for Carat and Isobar in London and San Francisco. Andy currently serves on the World Economic Forum as global advisory council for media and technology. He is an active angel investor and advisor to venture and private equity firms. He holds a triple B.A. degree in Architecture, City Planning and Scandinavian Cultures from University of California, Berkeley in the US, and an MBA from Stockholm University, Sweden. Her first book came out when she was 24 years old. This book boosted a huge debate and a movement on refugees and contributed to a law change on immigration in Norway. At 29, after working as tech-journalist for four years, she was awarded Best Startup Journalist for her articles on growing ecosystem in the Nordics. In 2015 she took a leap of faith and started her own company, crowdfunded and published her 4th book on successful Norwegian tech-founders and their best advice, or as many call it the Startup Bible. These days Amelie is representing Norwegian entrepreneurs as a fellow of Young Transatlantic Innovation Leaders Initiative, a program of the U.S.Department of State in partnership with the German Marshall Fund of the United States. She is also a sought after public speaker and have spoken at TedX, Google, Circle of Top European Communicators, Heroes Conference, BI Business School, Police School. Karianne U. Melleby has recently joined StartupLab with the ambition to increase the impact coming from closer connections between corporate partners and entrepreneurs in an everchanging environment. Prior to joining StartupLab, she has been hands on in several corporate startups both in DNB and Telenor. Most recently she was heading up the DNB Open Bank initiative, including setting up the organization and defining what “Open Bank” means for DNB. She has been responsible for accelerating Internet adoption in Telenor markets through close cooperation with Telenor´s Global partners. Based in Thailand, she had the unique opportunity to engage and explore with people across South East Asia, holding Internet in their hands for the first time. Karianne is passionate about how to drive growth in the digital economy. By bringing partners together that share the same passion for growth, she has experienced the power of business enabled through trust and relationships. Hilde joined Momentum Partners in 2014 after 5 years as a management consultant with the Boston Consulting Group (BCG).In BCG, she had the pleasure of working with a wide range of industries, spanning IT, media, renewable energy, shipping and the humanitarian sector. The tools and skills developed in Hilde's consulting career have proven valuable in her capacity as early-phase investor and board member through Momentum Partners. Hilde holds a Master of Science in Finance from NHH Norwegian School of Economics and a Bachelor of Science in Business and Administration from Université de Toulouse 1 in France. Karen-Elisabeth is driven by her passions, and her passions lies in innovation processes, stimulating the startup ecosystem and connecting people to create energy, impact and sustainable results. Currently Investment Manager, Corporate Venture at DNB Norway's largest financial services group. Previous experience: Strategic Advisor Partnerships, Digitalization and Business Development, DNB Manager Corporate Innovation, Statoil; a multinational oil and gas company, Country Manager Mexico and Cuba for Gateway College, Various assignments for humanitarian organisations as the UN, the Norwegian Refugee Council etc. in North Korea, Colombia, Venezuela, Israel/Palestine, Guatemala. She is initiator and partner in several innovation and entrepreneurial initiatives in the Stavanger area, as the Stavanger Startup Weekend, TEDxStavanger and holds several board memberships in startups as well as at the UIS Business School . She holds an exec MBA in Strategic Management from NHH and a Master in International Relations from Universidad de Deusto, Spain/ University of Dublin, Ireland. Corporate Venture vs Venture Capital: What are the main differences and when to go for what. Susan Lindner believes that incredible connections change the world. As the CEO and Founder of Emerging Media, an award-winning PR, Marketing, Branding and Social Media agency, she develops breakthrough strategies that connect our clients to the right media, communities, influencers and prospects. According to her clients, Susan is relentless in pursuing the game-changing opportunities that achieve her clients’ business goals. Winner of the 3 Golden Bridge Awards, SmartCEO Magazine’s Brava Award for Top Women CEO’s in NY, PR News’ Digital PR Awards, American Business Awards Mentor of the Year and Best in PR’s Mobile & Wireless. Susan gives back to the entrepreneurial community as a mentor to young domestic and international startups at VentureOut NY, and as a judge at premier competitions like NY Tech Week, The Mashies and many more.